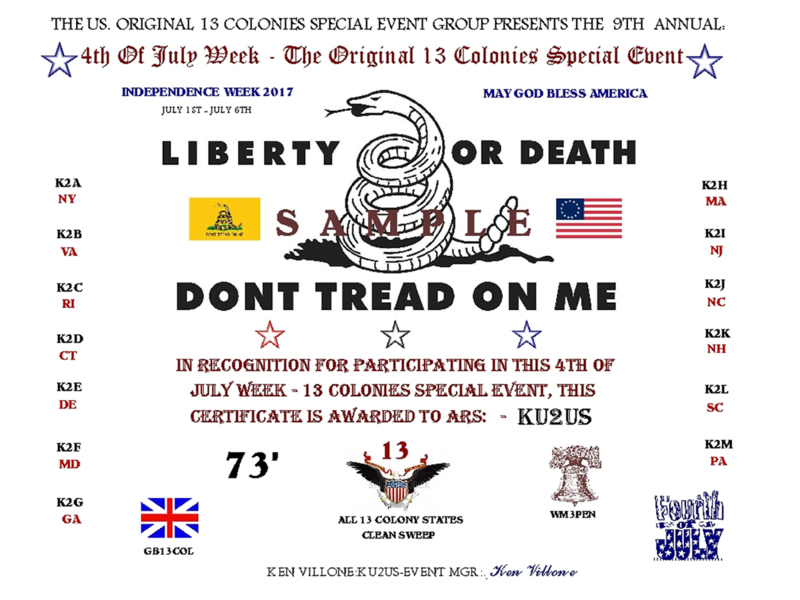 I saw this sobering e-mail today from Doug Hendricks, KI6DS on QRP-L. Since that is a public forum, and Doug is addressing the QRP Community at large, I am going to re-post it here. It's a long post; but worth reading to the end. I will add some comments of my own at the end. Last May, I decided to buy a modern, up to date transceiver with all the bells and whistles. I wanted something that I could take out in the field and it would have all of the operating aids available today. I looked at the KX3 and the KX2. Wow, nice radios, but oh my, the price. I can afford the radio, but can I justify spending over $1000 for a radio? So, I decided to do some research. I found a neat radio on the web. It was the McHF from England. It is a kit, and it has a lot of smt parts. Then, while doing more research, I found a Chinese Radio called the RS918ssb. It is a commercial product made from the information provided by the McHF group, which is open source. There is nothing that is illegal about the Chinese taking the information from an open source project and making a commercial product, as long as they follow the open source guideline. The interesting thing was the price: $380 delivered. Wow $380 for an all band ssb/cw/data transceiver?? that puts out 15 Watts and has a built in touch screen with pan adapter. I thought about it for a week, went back and looked at the KX2 and the KX3. Contacted the company in China and asked a couple of questions, which they promptly answered. Larry was my contact person. After spending a week mulling it over in my mind, I decided to take the plunge. But I used Paypal with my credit card to pay for it. I wanted to have some backup if the deal went south, and Paypal and Visa both have policies to protect the buyer. Feeling that I had adequate protection I placed the order. Larry said it would ship later that week and he would let me know when it shipped. When I didn't hear anything for a week, I emailed him. He said, oh so sorry, we had a production problem waiting on parts, but no worries now, parts are here. Radio will ship next week. 10 days later the radio finally shipped, after another round of emails and my threatening to cancel the order (in hind sight, that would have been a smart move). The radio arrived, and boy did it look good. Nice case, small, and all of those features. Just what I wanted. Hey, I got this for $380, it has a pan adapter built in, and I saved a ton of money by not buying a KX2 or KX3. Well, let's move ahead a week. 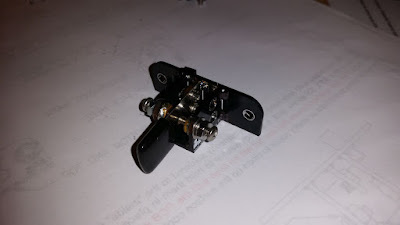 I play with the radio on receive, go over to a friend's house to try it on his antenna for the first qso. We hook it up on SSB, and it sounds great. No problems. 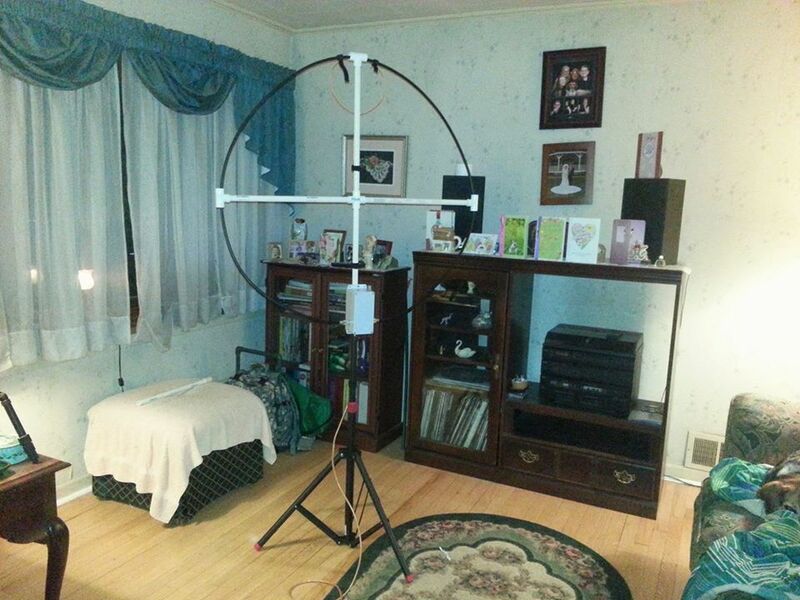 I take it home, put up my antenna at my new shack, (off center fed windom), and decide to make a cw qso. Plug in the paddles, make sure the swr is 1-1, and start calling CQ. No answer. I call for 10 minutes. Nothing. Oh well, band is very quiet. I'll try tomorrow. The next day, I go out, decide to check in to the 9AM net on ssb. When I key the mike, the touch screen goes blank. What? I try to adjust the radio, nothing. I call Steve "Snort Resin" Smith. He suggests to check the current draw. I key the radio on 1/2 Watt power out. Screen goes blank, 525 mA of current draw. 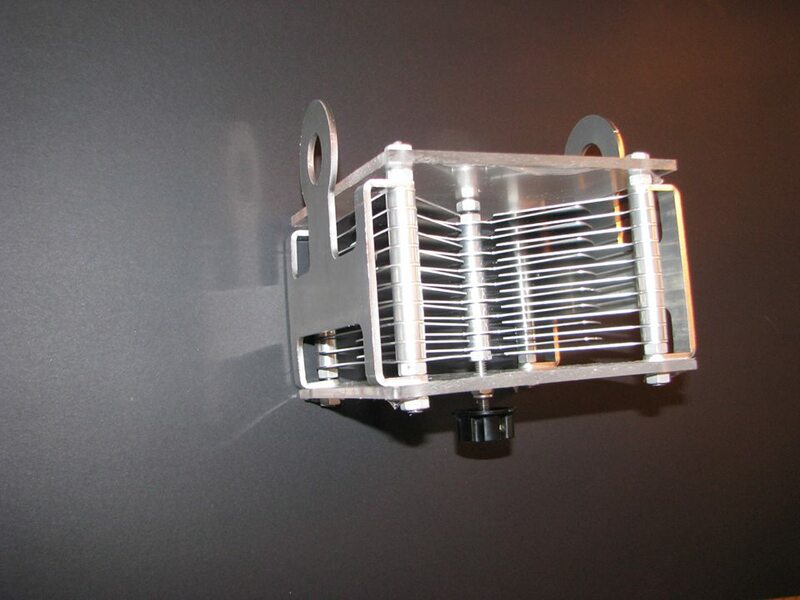 Then I change the power out to 15 Watts. Still screen goes blank and 525 mA of current draw. Uh oh. Problems in River City. My radio has a problem. I email Larry and tell him what is going on. It takes him 3 days to answer. He says I will check with engineers and get back to you. 2 more days, finally he answers one of several emails to him. He says to make sure power supply is adequate. I tell him it is 25 Amp supply, and it is adequate. No problems with power supply. Larry says I will check with engineers. 3 days later, no answer. I am not happy. I email Larry and say the engineers can't fix my radio if they are in China and the radio is in California. I tell him there are 3 options: First, I return the radio and they fix it. Second, they send me a new radio and I send my radio back, third, they give me a refund. No reply from Larry for 2 days. That's it. I am fed up with this. I file a claim with Paypal. No response from Larry. So I escalate to a dispute and ask for arbitration. Larry responds. I ask him what is going on? He says he wants to fix the radio. I say no, I am tired of dealing with this mess. I want my money back. He agrees to a refund, but I must sent the radio back, with tracking. I check with all the shipping companies. It costs me $153 to ship the radio back with tracking. I checked everywhere. That is what it cost me. So, I spent $153 to get $380 back, This is an expensive lesson. I forgot one of the cardinal rules of buying something. What kind of service and support is available if something goes wrong. I just didn't think about it. I knew it, but I was so excited about the price, that I was blinded. I paid for the mistake. $153. I learned an expensive lesson again. Education costs. thank you Chuck Adams, who is fond of saying that. How does the story end? 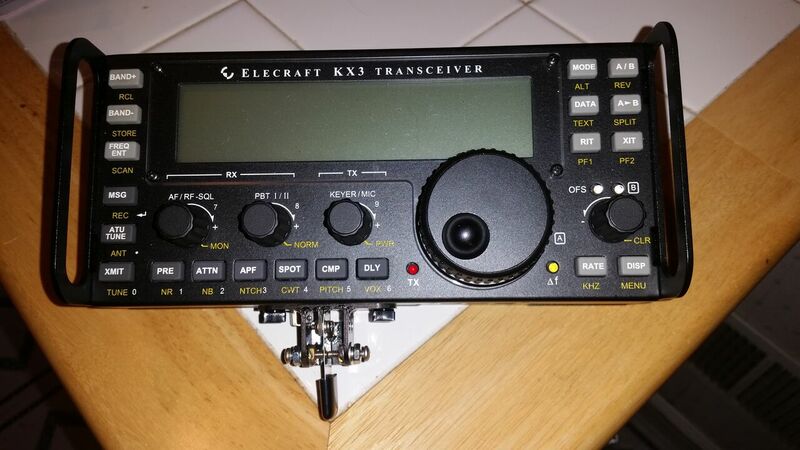 I called Elecraft, and bought a KX2 for $1061 delivered. It has the built in tuner, battery and battery charger. That's it for accessories. Ordered it on Friday, delivered on Tuesday. Free shipping. Had a question 2 days later. Called the factory. Question answered. Took 5 minutes, not days of waiting on email from "Larry". And if I have a problem, I only live 45 minutes from the factory. I can drive my radio over there to get it fixed. So there is my story. I tell it for information for my fellow qrpers. You decide if you want to buy a radio from China. But before you do, find out who is gonna fix it if something goes wrong, and remember, it is expensive to return a radio to China. I will be the first to admit that I have been guilty of purchasing radios manufactured in China. Those have been VHF/UHF handhelds and a mobile rig. On that score, I'd like to make a comparison. To me, and this is just my opinion, buying a VHF/UHF radio, whether it be a handheld or a mobile rig is akin to buying a car, in that you expect to purchase more than one in your lifetime. Purchasing an HF radio on the other hand is akin to buying a house. It's a major investment; and for most of us, unless you have very deep pockets, it's an investment that you are going to be bound to for a significant amount of time. So in the case of HF rigs, it pays to get the best you can afford and that the product be from a manufacturer with a proven and reliable track record (of both merchandise and service). For me (again, personal opinion. 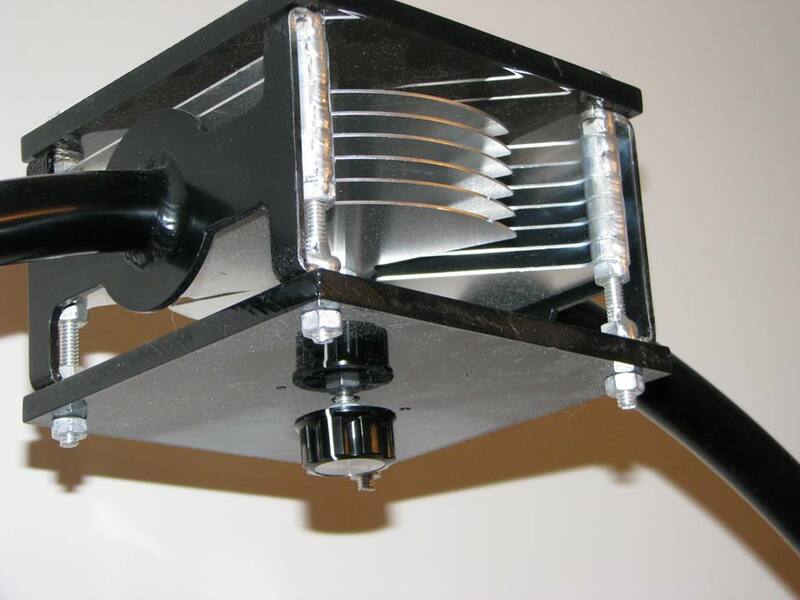 YMMV) the purchase of a VHF/UHF portable or mobile unit is of lesser consequence. I use them less (way less!) and I will try and get away with as much as I can in that regard. If the thing breaks or gets stolen or dropped, I'm not going to go into coronary arrest as if the same thing happened to my HF radio. If you're a technical genius with an EE degree behind your name, then perhaps purchasing a Chinese HF rig is less of a risk for you. For us mere mortals, however, we might want to stay away from questionable sources. The Flight of the Bumblebees for 2017 is in the books! 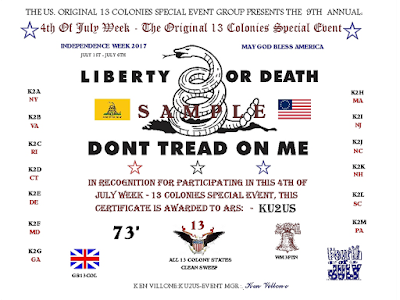 Many thanks to Rich Fisher KI6SN and the Adventure Radio Society for sponsoring this "classic" Summer time QRP event. I use the term "classic" because this was the 20th Anniversary of FOBB. It has provided so much fun for so many people throughout its two decade history that it deserves the status of "Classic". The weather in Central New Jersey was about as perfect as it could be. When I left the house at Noon, it was sunny, with crystal blue skies, without a cloud in them. The temperature was a very comfortable 77F (25C) with low humidity - near picture perfect. When I got to Washington Rock State Park, about 20 minutes later, I was greeted with a park that was nearly empty. Just a few people and all the picnic tables were vacant. I went to my customary table and went about setting up the station. First thing was the antenna of course. I'm not trying to be boastful; but I am getting darn good with that Joplin ARC antenna launcher. As long as there's no stiff cross breeze to mess me up, I can place the line in one shot. Today was no exception. 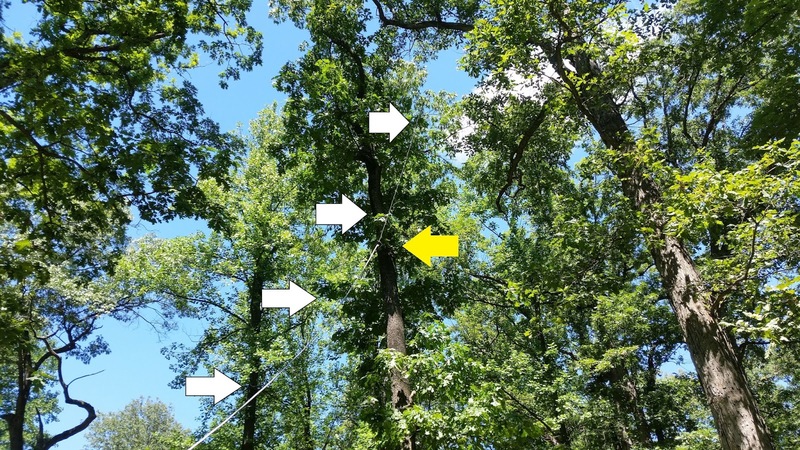 I got the "bullet" over a limb in the 40 to 50 foot high neighborhood and hoisted the PAR ENDFEDZ 40/20/10. It's always hard to get a good photo of a wire antenna in the trees. The white arrows point out the path of the antenna and the yellow arrow points to where the coax ends and the PAR begins. The end of the antenna actually ended up going a bit over a limb that is way higher up and is out of the photo. I had the station set up with plenty of time to go. It afforded me the opportunity to make a few postings on social media, both Twitter and Facebook. 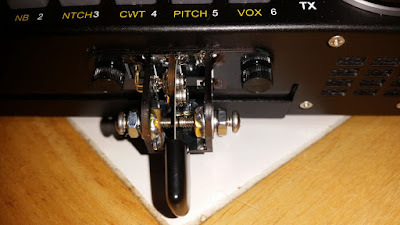 I decided to use my newly built QRP Guys KX single lever paddle for the entire event. I wanted to see how it would hold up under Sprint conditions; and whether or not I would fatigue from using it; or other wide become uncomfortable. The station power supply was my older Radio Shack 5 aH SLA and I think that today was its last performance. It exhausted itself rather early on, even though I had recently charged it. I got it used and it has served me well for the last seven years or so. No regrets there; and I certainly got my money's worth out of it (it was free). Luckily, my lithium battery is always in the backpack and it had more than enough capacity to carry me through until the end of the contest. The reason I didn't use it from the start was that I had my suspicions about the health of the SLA and I wanted to see if they were correct. They were. Band conditions were not the greatest, to say the least. 20 Meters was the money band today; and I was disappointed with 40 Meters. Usually 40 Meters yields me as many QSOs as does 20 Meters. Not today. 40 Meters was noisy and QSB was bad. Signals were either 599 or 449, and often they went back and forth between those two extremes whole I was trying to copy an exchange. I ended up making 29 QSOs altogether. Not great, as I've certainly done better in past FOBBs. But given the fact that we're traveling down the downside of the sunspot cycle about as fast as the QSB was today, it could have been a lot worse. 19 were made on 20 Meters and the balance on 40 Meters, a 2/3rds to 1/3 ratio, where normally for me it's about even or closer to even. Some calls that stood out - Greg, N4KGL had the loudest signal that I encountered all afternoon. I also ran into AB9CA, NK9G, K4BAI, WA5BDU, WD8RFI and VE3LFN among many others. 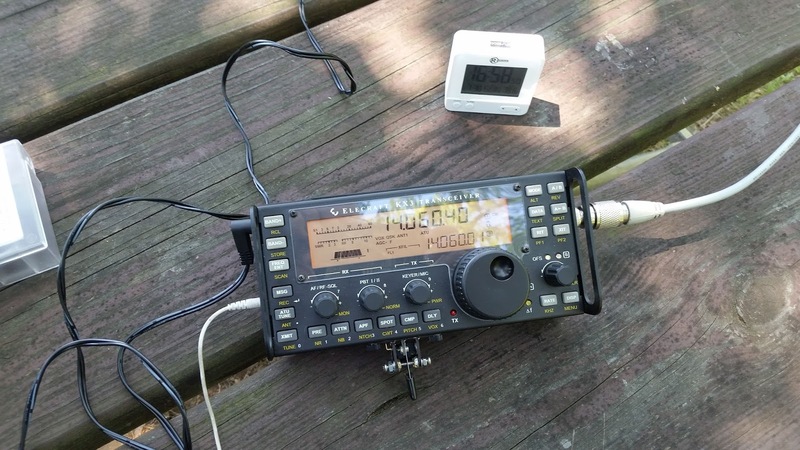 I also received a post on Facebook from Mike KC2EGL who was with John K3WWP working N3AQC in PA that they heard me calling CQ on 40 Meters. Unfortunately, I wasn't able to hear them calling me and wasn't able to get a QSO in the log. Perhaps if I had done something a little bit different - more on that below. Hindsight is always 20/20. 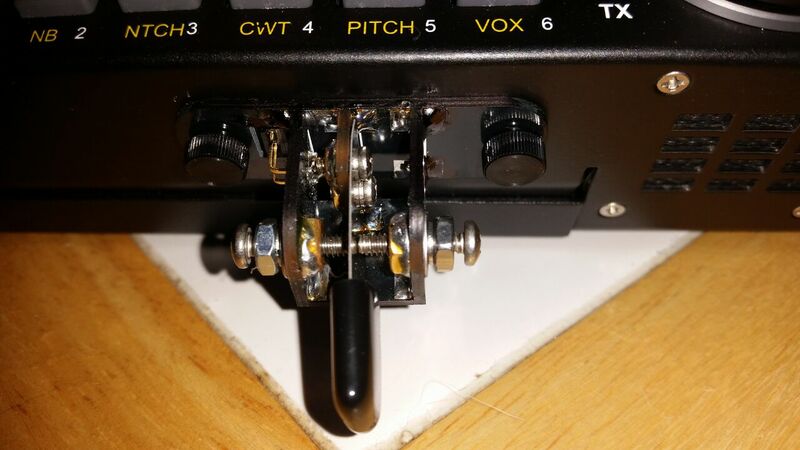 1) The QRP Guys KX single lever paddle is a neat! I used it the entire time and had no problems. No inordinate amount of sending mistakes and no fatigue. The paddle has a good feel to it and allowed me to send crisp code at varying speeds between 16 - 23 WPM. 2) I need new ear buds. The current ones have served me well the past 4 - 5 years. The right ear bud has developed a scratchiness which is not debilitating; but is definitely annoying. 3) Engage the noise blanker on the KX3 earlier. As I mentioned before, 40 Meters was pretty noisy up there at the park for whatever reason. Towards the end of my stay there, it dawned upon me to turn on the KX3's noise blanker. It helped, a lot! I probably wouldn't have made as many QSOs on 40 Meters as I did, without it. Sometimes I get so used to putting the "filter between the ears" through its paces, that I forget the mechanical and electronic aids that are available to me. 4) Trust your gut. The 5 aH SLA died rather quickly at Field Day and then it charged up rather quickly after. That told me right then and there that something wasn't quite right. So even though I knew it was probably on its last legs; I was still hoping against hope that I was wrong and it was okay. My gut was right, my hopes were ill-founded. 5) This one I already knew, but I will reiterate - always carry back ups! So even though a battery died on me, and I didn't make as many QSOs as I would have liked and band conditions were in the dumper, it was still a good day. As I wrote to W3BBO in an e-mail - a lousy day at QRP is way better than a good day at work! The weather prognosticators in NJ are forecasting a very wet Friday night into Saturday. The good news is the very heavy rain will be south of my QTH and the forecast for Sunday is looking decent. That means that my plans for Flight of the Bumblebees remain intact, so far. I hope to be operating from one of my favorites, Washington Rock State Park in Greenbrook, NJ. As an added bonus, that is KFF-1635, so if you're a POTA chaser, work me and you'll get credit for that, as well. Not sure whether I will use the PAR ENDFEDZ or the EARCHI. I usually stick to 40 and 20 Meters in these sprints, especially now that we're nearing the bottom of the sun spot cycle. The EARCHI would allow me to access 15 Meters; but I'm willing to bet dollars to donuts that the band will be dead, or nearly dead. I'll probably pack the magloop in the car, too and may play with that for a bit. Hope to work you on Sunday! I saw these on a Facebook post by William Robert Leschyna, VE3UK. Air variable butterfly capacitors for magloop antennas that he makes by hand! Aren't they gorgeous? Yeah, I know ........ only women are supposed to be gorgeous; but hey, I'm a Ham, a techno-geek, and I think these are works of art! Just look at and admire the craftsmanship! Anyway, he offers these for sale (you can contact him via his QRZ e-mail). They're a bit on the pricey side; but oh man! 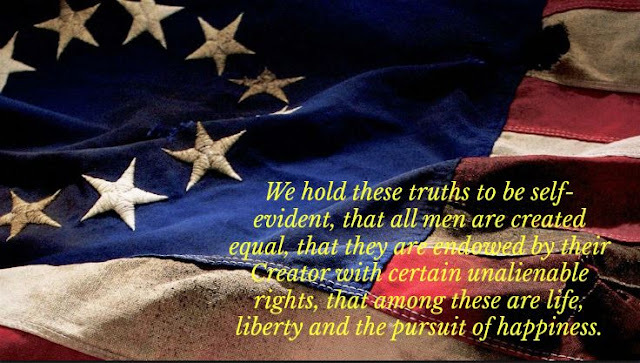 Please take a few moments of your time to contact your respective United States Senators and urge the to support S. 1534, the Amateur Radio Parity Act. This bill passed through the House of Representatives as H.R 555 and will be going before the Senate for vote. The bill "allows for effective outdoor Amateur Radio antennas for public service and emergency communications while protecting the prerogative of community associations." The language of this bill, which represents a mutually acceptable compromise, was agreed to by both the ARRL and the Community Associations Institute, which represents home owners associations. The ARRL has made this super easy to do. Just go to https://arrl.rallycongress.net/ctas/urge-us-senate-to-support-amateur-radio-parity-act and hit the "Send Message" button. You will be prompted for your zip code, your name and your street address. An e-mail encouraging passing of this legislation will be sent to both of your state's U.S. Senators. You need not be a member of the ARRL in order to make use of this service. You might remember a post that I wrote back in April, where I directed you to N7CFO's Download Website where all the copies of Morsum Magnificat were available for download. At that time, each issue was available as an individual .pdf file. Since then, N7CFO has made ALL the issues (including the ones that were missing AND the three special issues) available for download in one, big 897 MB zip file. Even with a good connection, it took close to 20 minutes for the file to download; but I have them all on a thumb drive now. If you have slow Internet connection, you might want to start downloading some evening before going to bed and let your computer do its thing overnight. What's so bad? My fist on my Llaves Cootie key. After a discussion on Facebook with another Ham about the differences between a single lever paddle and a Cootie, or sideswiper key, I decided to take mine off the shelf. I blew the dust off - just to give you an idea of how long it's been, and hooked it up to the KX3 with the VOX off. This allows me to use the KX3 as a code practice oscillator on steroids. I hear the side tone, but no RF goes out. And that was a good thing! I did not need to record my fist to realize how terrible it was. After so many years of using paddles, where one side is dits and the other is dahs, my muscle memory wanted to do the same thing with the Cootie. But you can't. You have to keep swinging left, right, left right, left, right and just vary the timing for the dits and dahs. I kept at it for about 15 minutes or so, starting with only making dits and dahs at first (multiples and then alternating) and then sending real characters after. I found "L" the hardest for me to get used to, for some reason. I estimate that after about a week's worth of practice, I should be proficient enough to be able to go on the air for real without embarrassing myself too badly. "So why bother with a sideswiper at all, if it's so hard? ", you might be asking yourself? For one, I enjoy the challenge and secondly, I like being able to use a manual key (like a straight key) without the discomfort a straight key causes me. I really admire those who can switch between paddles, bugs and sideswipers without missing a beat. Those folks are amazing! The feeder loop was made from spare #14 wire and the feedline was taken from spare RG-8X coax that I had that was just sitting around. The PVC support pieces were purchased from Home Depot - 1/2" schedule 40 PVC. In addition to the tubing (18" sections), I used one 4-way cross piece and three PVC Tees. The total cost for all materials came to less than $125, including the stand. Nothing against the commercial magloops that are out there that are available for Amateur Radio use. They're all top notch pieces of equipment; and you wouldn't go wrong purchasing any of them. However, there's just something ultimately satisfying about rolling your own and ending up with a specimen that works, really well. 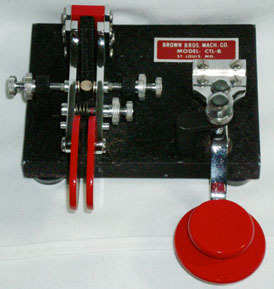 The second e-mail asked for a recommendation for keys for those who are just beginning to use Morse Code. For the neophyte, I would recommend a straight key to start off. This will allow you to send Morse at a speed which is most comfortable for a beginner - slow. My favorite straight key, up until recently, have been the Nye Viking Speed-X keys. They are fully and easily adjustable and the large Navy style knob makes finger placement easy and comfortable. Using a straight key from the beginning will allow you to concentrate on proper spacing and rhythm of Morse characters. It's harder to let the Code "run away" from you when you're using a straight key as compared to sending with a keyer and paddles, which can be set for a higher speed than a newbie should be using. Some new Hams dive right into electronic keying, thinking that the almost perfect machine keying will mask their "newness". Actually, I've heard some pretty horrendous CW out there from people using keyers and paddles incorrectly. Yes, the dits and dahs are perfect, but the spacing between characters and words can go all over creation, making copy difficult, if not impossible. IMHO, starting out on a straight key goes a long ways towards teaching proper spacing and weight of the Code. Once you've mastered that, you can move on to paddles and keyers with confidence in your abilities. If you want to advance past a straight key; but the thought of electronic Morse Code somehow turns your stomach, there are always bugs and Cootie keys that you can advance to. A bug, of course, is a semi-automatic key, which allows for the automatic generation of dits and the manual generation of dahs. Using a bug can be difficult, as they are really meant for code speeds of about 25 WPM or higher. They can be slowed down using various methods, but even so, using a bug is not for the faint of heart. Getting the rhythm and spacing to sound good take practice - a LOT of practice! Sideswipers or Cootie keys are kind of like a sideways straight key. These also take a lot of practice to get used to; but not as much as a bug. The problem with a Cootie or sideswiper is that once you get used to using paddles and a keyer, it's hard to transition back to totally manufactured dits and dahs. It takes time to get used to the fact that you just don't hold the lever to one side or the other to have a string of dits and dahs come out! No matter what method you use to send Morse Code, be aware that it will take time and practice to become really proficient. There are many out there who can switch from a straight key, to a bug, to a Cootie and then to a paddle and keyer and sound fantastic on all of them. If you come across someone like that, you've come across a true Master of the art of Morse Code. It takes a very log time to get that good! Finally, whatever way you choose to generate code, buy the best key that you can reasonably afford. 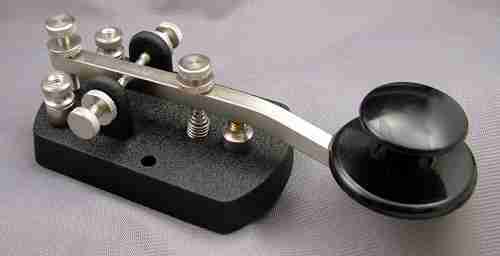 Your straight key, bug, paddle or sideswiper will become your vehicle towards sending good Morse Code. Using a quality tool will go a long way towards adding to your enjoyment of CW. As a comparison, yes ..... you can drive from New Jersey to California in a beat up ol' jalopy; but the journey is much more pleasurable when you're travelling in a fine luxury automobile. This lil' guy caught my eye a few months ago, a single lever paddle for the KX3. I went over to the QRP Guys website, only to see that it was priced at $25. I figured, A) I love single lever paddles and B) "How can you go wrong for 25 bucks? ", it's not like it's going to break the bank, and I ordered one. It came quickly, but today was the first time since it was delivered that I got a chance to sit down and build it. The instruction manual, which you download and print out, gives this kit a difficulty rating of "4" on a scale from 1 to 5, where 1 is "Simple" and 5 is "SMT". To be honest with you, I didn't find it difficult at all, except for one small glitch. The paddle body itself is made from PC Board material. 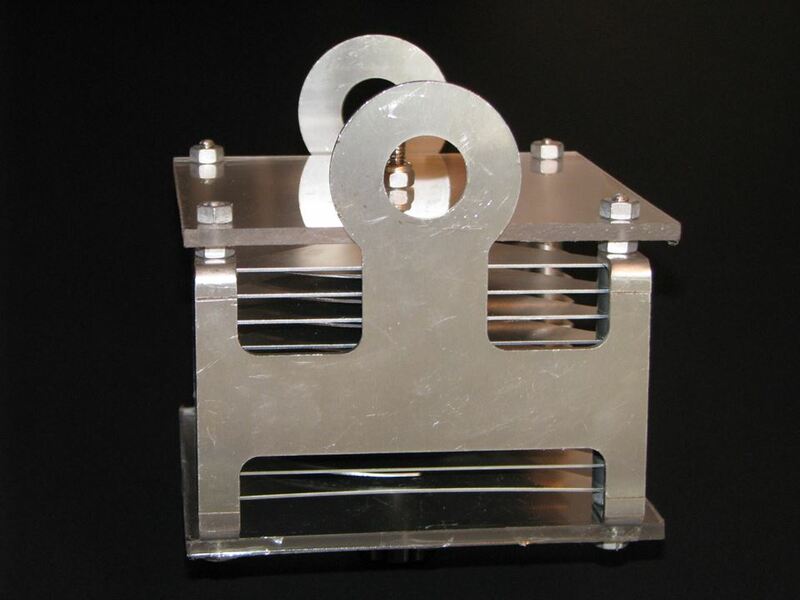 There are five main pieces - the paddle base, the paddle leaf holder, the left and right contact holders and a support. All fit together nicely and are tack soldered together to form the paddle body. once you have everything aligned, you re-solder the tacks to make them permanent. The only problem that I had (with the exception of losing a screw, which went into orbit. It's a good thing I had a serviceable replacement in the junkbox!) was that the paddle support would not fit flush with the paddle base. There's a slot cut for it, but it wouldn't fit. I had to take out my jeweler's files to make the notch just a tad wider. The entire process from start to finish took less than two hours and that's with my "check-everything-three-times-before-soldering" paranoia. Again, I did notice that things went easier for me when I took off my glasses and got up close and personal to the work that had to be done. The ol' peepers really aren't what they used to be. Adjusting the contact spacing was a piece of cake and it was easy to get things just where I like them - almost at touch paddle setting. The manual says that spacing as close as a couple thousandths of an inch is possible and I believe it. I barely have to move the lever in either direction to produce clean, crisp code. The only thing that I might consider is taking up the manual's suggestion to get a cheap set of feeler gauges to use as stock for a new lever. The one supplied is a little "whippy" in my estimation. A thicker piece of metal would feel more robust. The lever supplied is certainly usable as is; but a stiffer one would just be improving the feel a tiny bit closer to my subjective preferences. You know how fussy and particular we CW ops get about our keys! The final step that I took (stupidly, AFTER taking the photos!) was to take a permanent black magic marker, and go over the edges of the circuit board material and to cover over the solder fillets. That made the who assembly look a bit more "finished". A nice touch is that if you own a set of the SideKX side panels and Lexan cover, there are no issues with placing the Lexan cover on your KX3 while the paddle remains attached. It does not get in the way of the cover, whatsoever. Additional bonus - you can still use your favorite paddle(s) while this remains plugged in. You do not have to remove it in order to use your favorite external paddle. If you want to have an attachable paddle for your KX3 or KX2, but feel squeamish about parting with the dinero for a set of Elecraft KX3PD or KX2PD attachable iambic paddles, then you might want to look into buying one of these. I think I'm going to enjoy using mine - I do so far! 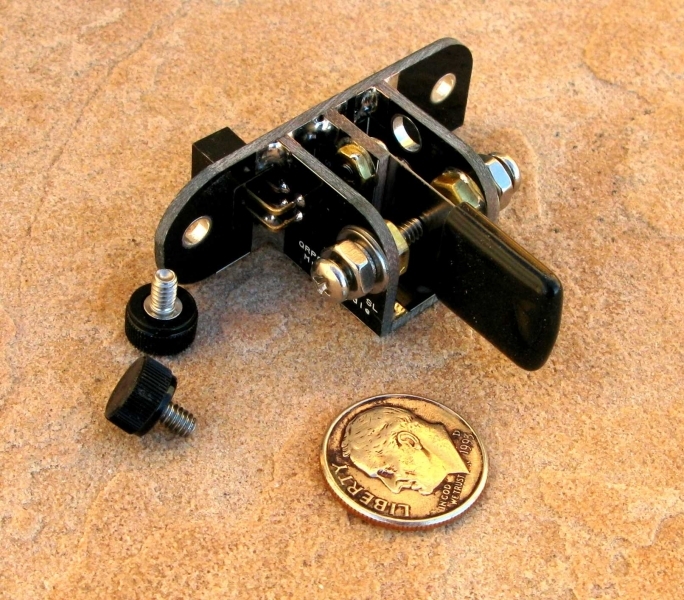 When I first introduced the "QRP - When you care to send the very least!" car stickers, I received an e-mail from Bill Unger VE3XT asking if I had any problems sending stickers to Canada. I replied, "Just send a snail mail indicating the number of stickers you want and the funds, and I'll get them right out." Sure enough, an\bout a week later, an envelope from Bill showed up in my mail box. I put the requested number of stickers in a return envelope and went to the Post Office and used their handy dandy automated postage kiosk to determine the correct return postage to Canada and tossed the envelope down the "Out of Town" mail chute. A few weeks went by and I got to wondering if Bill did, in fact, receive them. so this time, I sent him an e-mail asking him if he had received them. I got a reply that he hadn't; but while being a little concerned, I figured that they call it "snail mail" for a reason and I decided to give it a bit more time. I had planned to wait another week to ten days, and t send another inquiry. If Bill still hadn't received them, I would send more. On Friday, I received an e-mail from Bill. He got them! Huzzah! What I hadn't anticipated was the photo he attached. Oh, they arrived all in one piece and good shape; but I didn't know that there were that many Hams at the United States Postal Service. They decided to send the stickers to Bill via longpath! Jamaica ?? Really !! I know my chicken scratch printing is pretty awful, but even I can make out that the envelope is addressed to Thunder Bay, Ontario, Canada. I know there's a Montego Bay in Jamaica ..... is there a Thunder Bay there, too? LOL! The important thing is that they got there, safe sound and in good condition. To any Ham friends that work for the USPS, this is not a knock on you. I'm sure that one of the automated sorting machines probably messed up and if this had been in your capable, human hands the envelope would have sorted properly and would have reached Canada straight off. Yesterday, the south Plainfield Amateur Radio Club set up a station at the gazebo at Spring Lake Park, the same park where we set up for Field Day. The intent was to celebrate and participate in JOTA, the Boy scouts Jamboree On The Air. Harry, KC2PGK is a Scout Master to one of the troops in town and he invited all the Scout Masters and Troop Leaders to bring by as many Boy and Girl Scouts as possible to get a chance to get behind the microphone and get on the air. The good news is that NJ2SP managed to work station K2BSA, the official club station of the Boy scouts of America from Jamboree 2017 in Glen Jean, West Virginia. The bad news is that no local Scouts came out to participate. We were all disappointed; but I reminded everyone that this is a very tough time of year, as school is out, families are on vacations or otherwise have weekend plans. To make matters worse, we really didn't do the absolute best that we could have done with publicity and communications, so the fault is probably partially ours, too. As a new club, we're still struggling to find our way and get things like this done the right way. The important thing, is that we're trying! In my most humble opinion, the Internet and social media have been a boon to Amateur Radio. Never before has learning and Elmering become so easy and widespread. There is sooooo much good information out there on antennas, equipment, operating procedures and practises ...... it almost makes me jealous that we didn't have this back when we were Novices in the "dinosaur days". But there's a down side, too. 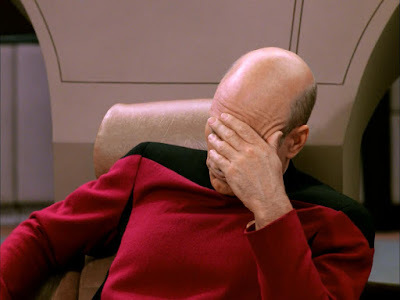 Just as there is a lot of good information out there, there's also stuff that makes me go like this when I read it. And this happens particularly when it comes to the topic of learning Morse Code. I realize that when it comes to learning, that people are like snowflakes - no two are alike. But I know bad advice when I see it, and there's plenty of it out there. I think that for the vast majority of people, using gimmicks or visual associations for learning Morse Code characters is a very, very, very bad idea. I know that the Morse Code is a huge obstacle for some people. Back when I was a teenager of 16 years, I had such tremendous problems learning Morse, that I gave up on it myself for several years. If I had the Internet back then, I probably would have followed some bad advice that would have been offered to make learning Morse Code "easier". Looking back on it, that was exactly my problem, even without having the Internet. A well meaning person gave me a Morse Code chart - all the letters of the alphabet, and the numbers printed out, alongside their Morse equivalents. It became a crutch. My brain just couldn't make the audio to visual to brain connection quickly enough; and I gave up. It was only about 5 years (5 years! 5 wasted years!) later that an instructor gave me the ARRL Morse Code cassette set with the admonition to LISTEN, that I was able to learn the Code successfully. In the end, using visual associations such as charts or tables, counting dits and dahs, or any kind of mental associations (D = Dog did it) or other quickie learning gimmick actually slows you down in the long run. Sure, it may have helped one to get to the minimum 5 WPM level quickly, but after that, these methods hang around your neck like the proverbial albatross. Because once you get to the 10 WPM level, you will reach a plateau - and until you unlearn those bad habits, you won't advance any further. Maybe the best analogy is that the Morse Code characters have to become as automatic to you as hitting the brake pedal on your car when you see the brake lights on the car in front of you come on. You don't think about it, you just do it! As I eventually learned, the best method to learning the Morse Code is by listening. Not looking ....... listening. I think the best method is to combine both the Koch and Farnsworth methods. The Farnsworth method would have the student listen to Morse Code characters sent at a speed of about 13 WPM, but spaced out at a speed of about 5 - 8 WPM. Using the Koch method in combination with this would be to introduce the similar characters in bunches, at the same time, i.e., first learn, e, i, s, h, 5 first and get comfortable with those before moving on. But above all, it is important to imprint the sounds in your brain. Anything which can come in between the ear and brain is going to make things much harder once you've reached the point where you've learned the characters and you're training to increase your speed. In another post, I'll go into some of the resources available for learning Morse. I haven't looked into these in a while, and I'm certain some good stuff has become available since I last looked. Labels: CW, elmering, Morse Code, teaching. Neil A. Armstrong Michael Collins Edwin E. Aldrin Jr. 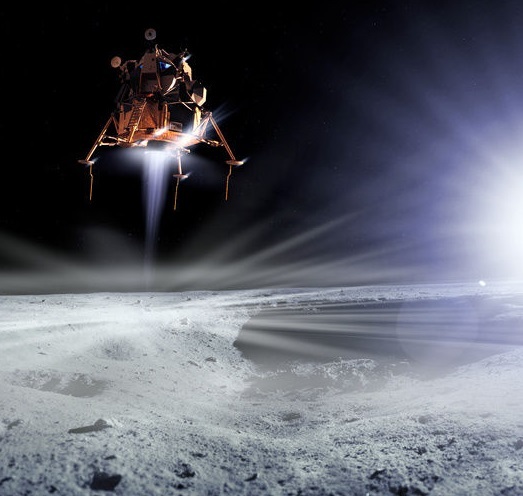 The S-band transceiver was the primary transceiver used for TV, telemetry, biomedical data, and voice communications from the Lunar surface. It had an output power of 750 mW (QRPp!). 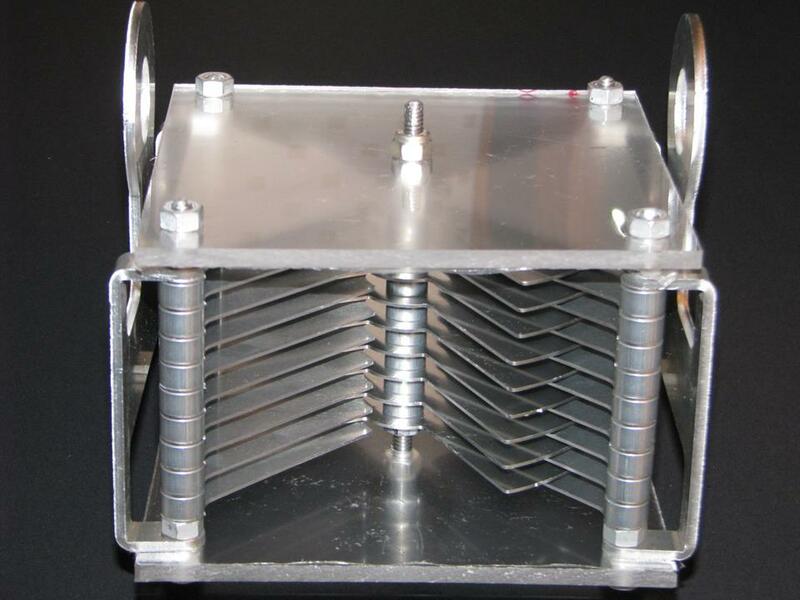 That signal then went to the S-band power amplifier, which boosted the signal to an outstanding "QRO" signal of 18.6 Watts. You may have noticed (or not) that the blogroll to the right has shrunken a bit. I removed a couple of blogs that no longer have valid links (can no longer be reached). I also moved a few blogs that have been inactive for a year or more down to the dormant blogroll. Anytime that these become active again, I move them back to the top list. I also removed a couple links that no longer had valid URLs; and edited some where the URLs changed. If you know of any blogs focusing on QRP, CW or portable ops that are worth following and that I don't have listed, either send an e-mail to w2lj@arrl.net, or leave a comment in the commbox. I'll give them the once over and will add them if they seem like a good fit. Labels: AmateurRadio.com, fun, humor, misc. Just in case you missed it - THE Summer QRP Classic - The Flight of the Bumblebees is on! The event is on Sunday, July 31st from 17:00 to 21:00 UTC. 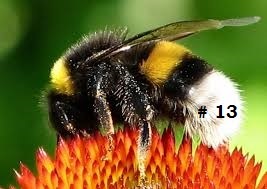 Send an e-mail to ARSBumblebees@gmail.com and be sure to include your first name, call sign, the field location you plan to operate from and your three top choices for a Bee number. 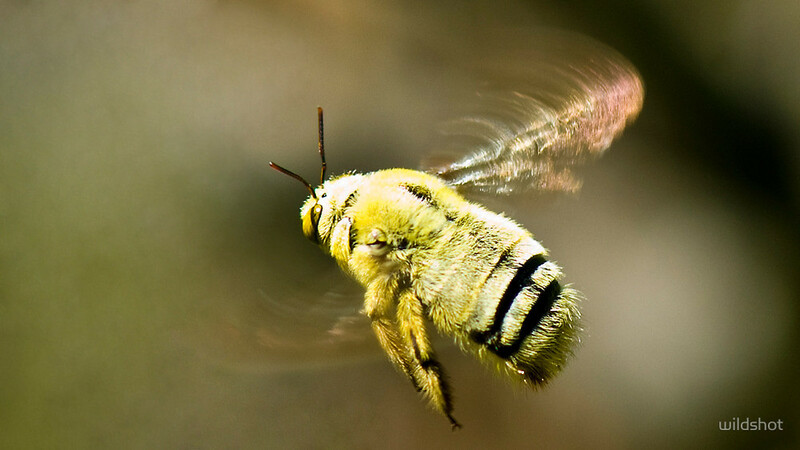 Keep in mind that you are encouraged to participate in the FOBB as a home station - but only Field Stations can have a Bee #. After you've sent KI6SN your request, be sure to keep an eye on the roster at the link above. That's where you will be able to determine what number you've been assigned. 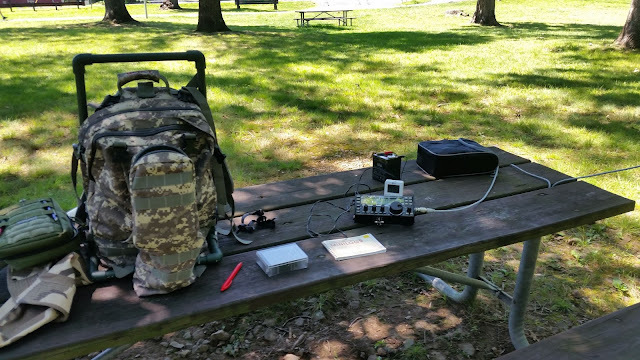 FOBB is, was, and continues to be the best Summer Outdoor QRP event, bar none. It's the equivalent of the Masters, or Wimbledon or Tour de France of the QRP Summer contest season. Get out there, get some sunshine and some breeze in your hair and have fun! I can hear wings buzzing already! As I type this, massive depression is setting in as the last few hours of my vacation week are coming to a close. Tomorrow, it's back to the Old Grind. Last week was spent at our customary place at Lake George, NY. 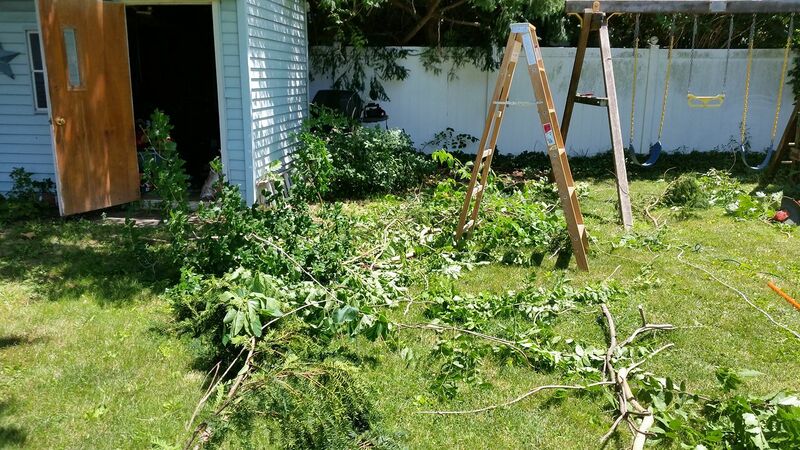 The weather was iffy, with rain and thunderstorms at the beginning and end of the week. Sandwiched in the middle was some good weather. I didn't head out for my customary QRP session at the top of Mount Prospect until Monday, this time. Usually, I head out there on Sunday and take part in the QRP-ARCI Homebrew Sprint, but this year I was content to spend Sunday doing my best imitation of a couch potato. When I went up there on Monday, I brought the magloop along and set that up. Immediately, I knew something was wrong. I was having a very hard time getting a loud background noise "sweet spot", which indicates a good match. Removing the top of the capacitor enclosure, it became obvious that if I turned the tuning knob in one direction, all was well. When I tried to tune in the opposite direction, the capacitor shaft would not turn at all. Argh! One of the two set screws on the reduction drive had come loose! And of course, of all the tools that I carry in the Jeep, a complete set of hex wrenches is not included. I put the magloop away in its carrying sack and broke out the Jackite pole, my drive on mast support and the PAR 10/20/40. I had that up and on the air in a few minutes, but the bands seemed dead. I had no luck calling CQ and I wasn't heard on 17 Meters by J68GD, who was loud, but called CQ in my face when I tried to answer him. Obviously, this was another instance when propagation wasn't reciprocal. I went back to 20 Meters and was hunting around when all of a sudden it got very windy. My ARRL mini log books were flying all over the place and the Jackite was doing its best impression of a Hawaiian Hula dancer. I decided to call it quits for the day, and head back to the cabin. On the way back, I stopped by a small hardware store in Lake George Village and picked up a good hex wrench set. When I got back to the cabin, once again I removed the top of the capacitor enclosure. The one set screw was tight and was right as rain, but the other needed about a 1/4 turn to get it snug. I gave it an extra bit of torque to make sure it was tight, but not to the point of rounding off the set screw. 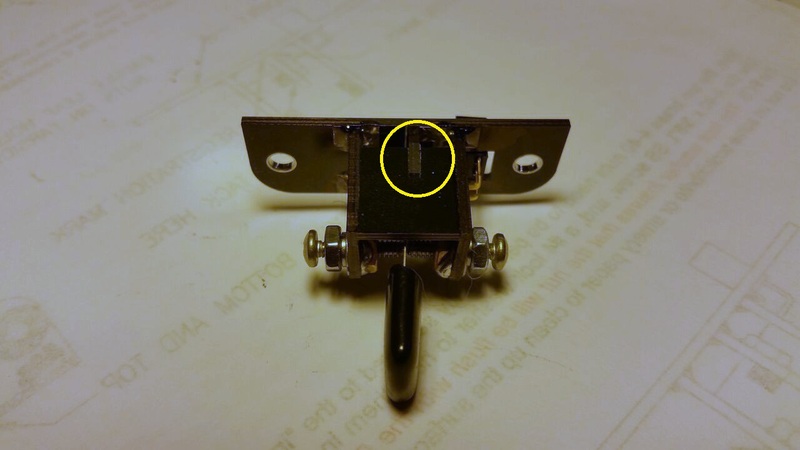 Right away, I was able to turn the tuning knob in both directions and see that the capacitor shaft was moving, also. Lesson learned - always have the proper tools close by! Although I didn't make any contacts, later that night I logged onto the Reverse Beacon Network website and plugged in my call sign to see if I was being heard. I was! Good signal to noise reports all up and down the East coast, into the Mid-west and even out as far as Saskatchewan, Canada. I was getting out, I just wasn't getting any takers. The end of the week turned rainy, damp and chilly. Thursday afternoon was spent largely in the cabin. Once again I decided to set the loop up in the cabin. I wasn't hearing all that much, except on 20 Meters, where I was hearing some DX. US1GCU was calling CQ, so I gave Leo a call and got an answer. To the 599 that I gave him, I got a 579 in return. A few minutes later, I heard a loud UR4EZ calling CQ. Sent my call again and was answered immediately. Victor gave me a 579 and I gave him a 599. Both Ukrainians were very loud. I was very pleased to receive the 579 reports as I never mentioned to either Leo or Vic that I was running QRP power and that I was using a magloop antenna indoors. And since the unsolicited 579s were received instead of "compulsory" DX 599s, I will take it that I was given RSTs that were honest and somewhat accurate. Again, this magloop continues to amaze me. It boggles my mind from time to time that it gets out so well and that I receive the signal reports that I get. Again, this is not an every day antenna; but it sure makes a nice antenna for vacation and portable ops when there are no trees around; or you don't want to mess around with trees on someone else's property. This morning was the Sussex County Amateur Radio Club's annual Hamfest at the Sussex County Fairgrounds in Augusta, NJ. I think that without a doubt, this is the largest Hamfest in New Jersey. Luckily, I was able to attend as some years it occurs on the Sunday that we are in Lake George. I made the trip up to Augusta with Marv K2VHW. I didn't have plans to buy much of anything. I did come home with some CR2023 button batteries for Harold's LED collar that we use when we take him for walks after it gets dark. I also came home with a little Radio Shack travel alarm clock that I picked up for $2. I set it to UTC and put it in my backpack. It will serve well as my official portable ops logging clock. It is only about 2 X 3 inches and maybe 3/4 of an inch deep, so while it is very small, the display takes up a large part of the front and is easy to read. There's even a button that you can push to light up the display for reading it in darker conditions. There were lots of things on tables that I was absolutely salivating over, especially this Brown Brothers straight key / paddle combo. The gentleman selling it was firm on the price and was more than I was willing to spend. And when it comes right down to it, while I always wanted one of these, I have so many wonderful paddles and straight keys already - how many can you have? And what good would it do to have it just to collect dust on a shelf. I can't imagine using this primarily instead of my Begali or N2DAN Mercury paddles. Collecting is nice if you have money to burn, but that's never been the case for me. 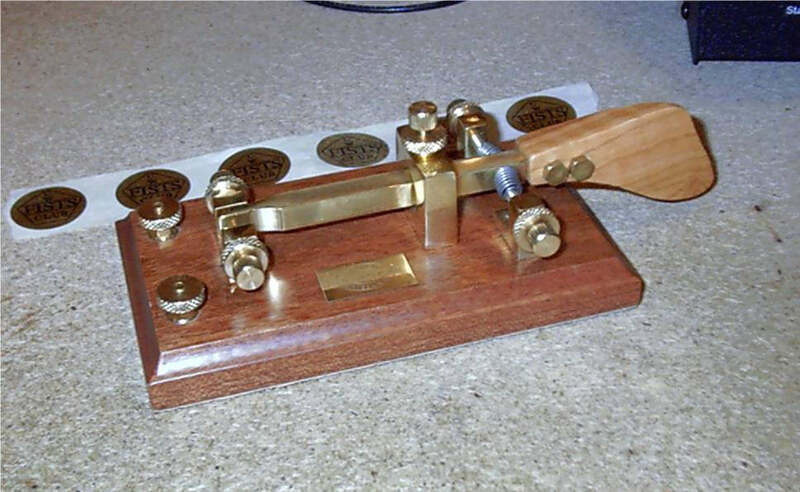 Besides, I will be adding one more key to my collection at the end of the month - a W2WK Marconi Straight Key. I'd rather have one of Bill's straight keys than the Brown Brothers combo, any day.